Calendar of Treasury Books, Volume 30, 1716. Originally published by Her Majesty's Stationery Office, London, 1958. 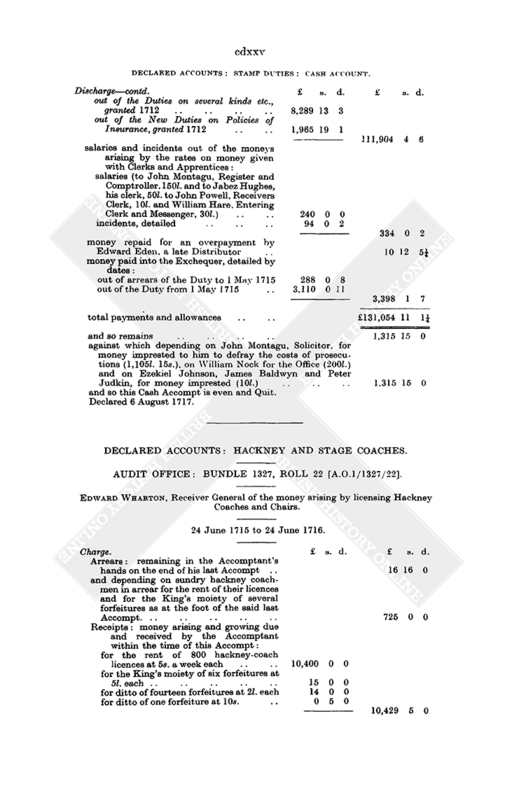 DECLARED ACCOUNTS: HACKNEY AND STAGE COACHES. 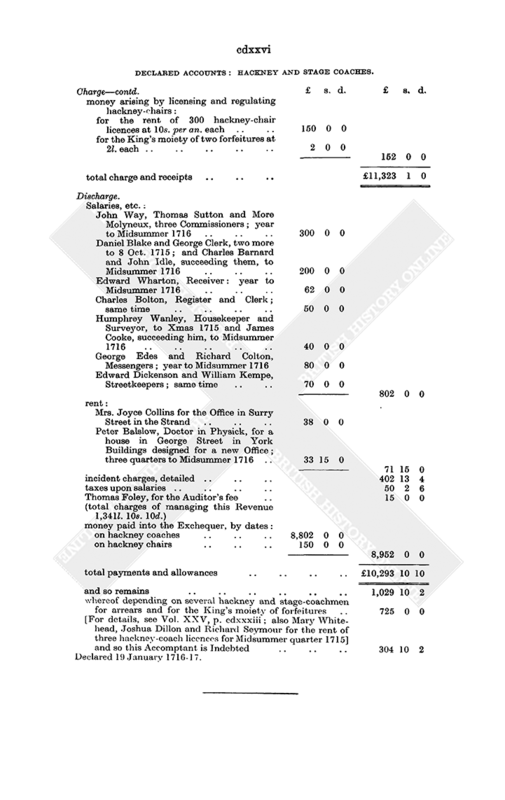 AUDIT OFFICE: BUNDLE 1327, ROLL 22 [A.O.1/1327/22]. Edward Wharton, Receiver General of the money arising by licensing Hackney Coaches and Chairs. 24 June 1715 to 24 June 1716.